For those individuals that have lost their teeth or have been suffering from missing teeth, it is important to understand how critical it is to address the issue. The reality is that nobody would like to live their life with missing teeth. In addition to it looking very awkward, it also affects your self-confidence because it hinders you from being able to smile openly. Other than aesthetics, there are several other reasons why you should seriously consider replacing your lost teeth. Why do people lose their teeth.? One of the most common reasons is age. As an individual becomes older, the strength of the teeth (known as enamel), along with the ability of the jawbone to maintain the current condition of your teeth diminishes. As a result, the teeth become more fragile and are lost over time. Some of the other common causes of teeth loss include decay, disease, or the simple failure to take care of your teeth in a proper manner. In some cases, diseases such as periodontal disease result in a person losing one or more teeth over the course of time. People also struggle with losing their teeth because of sports injuries, accidents, and trauma that has been sustained to the mouth. As we all know, there is no age limit to slipping and falling, being involved in an accident, or experiencing physical contact to the mouth. Regardless of their stage in life, it is imperative for those individuals who have lost teeth to have them replaced as soon as possible because the teeth play a very important role in many of the critical life functions. Teeth also play an important role for influence and communication with the digestive system. Many people forget that teeth are the first step in the digestive process. There is absolutely no doubt that the teeth are necessary for one to be able to tear, chew, grind, and bite food in your mouth. If you lose your teeth, then it prevents the ability of your mouth to conduct all these actions in an effective manner. As a result, is also reduces your ability to live life to the fullest. With a lack of teeth, it often becomes quite difficult to consume nutritional foods on a regular basis and a constant worry with what types of food to eat. Even though it might be slightly hard to believe, your teeth play an important role in your ability to communicate and speak in an effective manner. Teeth are used by people to enunciate properly, offset certain words, and form certain patterns of speech. So individuals who have lost one or more teeth often find it quite difficult to talk properly. As a result, it might also seem very frustrating at times. If you are missing any teeth, it is in your best interest to look at the options available to you. This is something which you should do at your earliest convenience. The longer you wait to get your teeth replaced, the more severe problems become and you have to deal with the consequences. Amongst all the tooth replacement options available out there, most find dental implants to be the best option. This is because dental implants require both the crown and the tooth root to be replaced. Since the replacement tooth is embedded in the bone, it helps prevent the further loss of bones. Simply put, an implant is an artificial tooth inserted in the bone. In terms of its drawbacks, the only significant downside with dental implants is the healing time. From the time the procedure is completed, the healing process can take anywhere up to three months. However, since you are obtaining permanent teeth, the implants should last the rest of your life. Considering the replacement teeth are natural and functional, you don’t have to worry about anything. Dental implants do not need to be adjusted or replaced, so patients can enjoy the benefits without concerns. A second popular option to replace lost teeth are bridges. These are replacement teeth held in place by attaching to your neighboring healthy teeth. 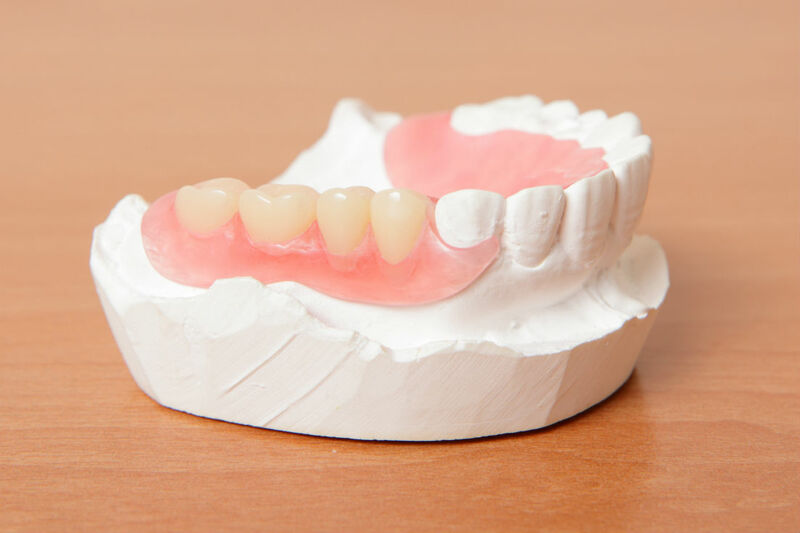 While bridges are composed of different materials, the most preferred option is the more natural looking ceramic bridges. Thanks to bridges, your remaining teeth are prevented from shifting into the gap. Bridges also help prevent the loss of bones. Even though they typically last many years, bridges eventually need to be replaced. Most individuals find them slightly less desirable than implants, since they require the structure to be taken away from the nearby teeth. If you are suffering from missing teeth, Personal Care Family Dentistry, PA can provide you with some great tooth replacement options. We encourage you to contact our Fort Walton dental office today to schedule a consultation and we can discuss the best options for you!